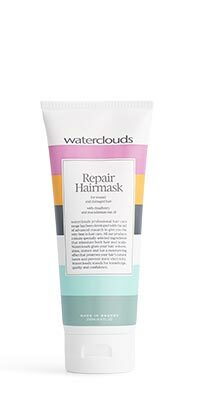 A hair mask for dry, damaged and treated hair that makes your hair feel soft and silky - without weighing it down. Dry hair gets what it needs with Cloudberry and Macadamia Seed Oil that rehydrates the hair and scalp to give you smooth hair with a beautiful sheen. Dekavital B5/Provitamin B5 locks in moisture and protects hair from drying out. Contains UV filter. Massage into the hair and leave for 5 mins before rinsing. Tip: Heat boosts the effect. CLOUDBERRY SEED OIL - Rehydrates hair and feeds individual strands with Antioxidants and Vitamin E.
MACADAMIA NUT OIL - Rehydrates and adds sheen. SEA CARE - Moisturises your hair without weighing it down. DEKAVITAL B5 / PROVITAMIN B5 - locks in moisture and protects hair against drying out.